Welcome to the Attaboys Auto Sales - You Can Count On Us! We are your premier auto repair shop & Detail Center in Sandstone Minnesota. One customer at a time we continue to grow Attaboys Auto Sales by providing the highest level of satisfaction. We treat every car we service like it's our own. Everything from a wash or shine, to an oil change to an engine replacement we are your 1 stop shop. The high level of expertise that our certified technicians provide is never questioned. Each technician is highly trained, certified and has many years experience. We have top of the line equipment and diagnostic tools needed to perform each job. We pride ourselves in fixing it right the 1st time to save you time and money. Our friendly staff will guide you through the process and keep you informed to give you the peace of mind that you deserve. To learn more about the services we offer, please contact us by phone at 320-245-5355 or send us an Email. Customer Satisfaction is our number 1 goal! 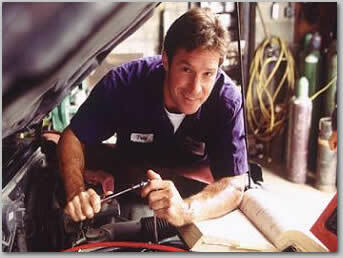 Whatever your auto service or car detailing needs, Attaboys Auto Sales can handle it expertly. We truly do it all and ALL JOBS ARE GUARANTEED!